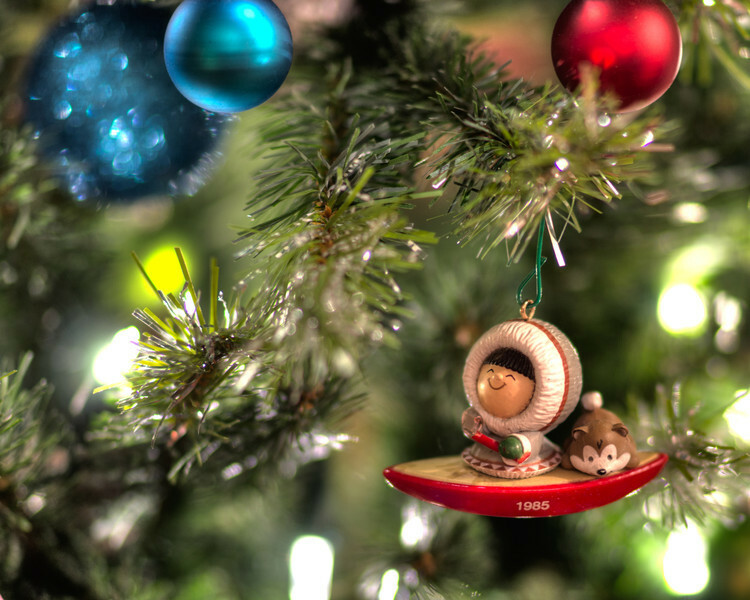 Christmas tree ornaments can make for fantastic photographs. They don’t move…they smile you want them to. The only downside is that sometimes the dog knocks a few down and they break. Take out your tripod and play around with your settings; get to know your camera. The f-stops and the exposure levels can make for some interesting photos…and if that doesn’t do it for you, use your Raw settings and create a wonderful HDR to ensure that those Christmas lights don’t overpower your ornaments.